Perhaps the single most dangerous driving practice is driving while under the influence of alcohol and/or drugs. Defensive driving techniques and knowledge of the rules of the road simply cannot compensate for the serious impairment of driving while under the influence. Impaired drivers endanger themselves and others, and they risk severe legal and financial consequences. Sober driving is among the most important factors of safe driving. As National Drug & Alcohol Facts Week (NDAFW) arrives, it's time to remind ourselves of the grievous repercussions from drunk and/or drugged driving-related accidents. Drivers make hundreds of decisions for each mile they drive. Alcohol inhibits our ability to make safe and responsible decisions. Slower reaction time, coupled with poor decision-making, could mean real trouble. It could lead to a collision that could have been prevented. Approximately 800 people are injured each day in drunk driving accidents, totaling to 290,000 alcohol-involved traffic accident injuries each year. Approximately 10,000 people are killed each year in vehicle accidents involving a drunk driver. Approximately 83% of drunk drivers involved in fatal crashes are between the ages of 21 and 44. Three times as many males are arrested for impaired driving as females each year. In studies of driver sobriety, on an average weekday, over 12% of drivers randomly pulled over tested positive for illegal drugs, and more than 15% tested positive for drugs on weekend nights. Over 1 million people are arrested each year for driving under the influence of drugs or alcohol. 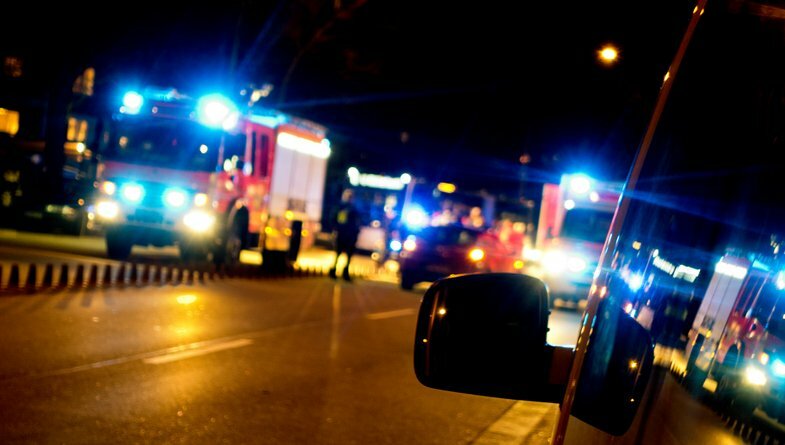 Drunk driving accidents are four times more likely to occur at night than during the day. Driving while drunk on alcohol is one form of impaired driving or driving while intoxicated (DWI), also called driving under the influence (DUI). Most states automatically suspend or limit driver’s licenses on the first conviction of a DUI or DWI offense. Driving while intoxicated or impaired by any substance, legal or illegal, is against the law. This includes driving while taking narcotic prescription medication and operating a vehicle while under the influence of marijuana or any other recreational drugs. U.S. states and territories have different laws and penalties for driving while intoxicated. However, all states except Utah have laws against driving with a blood alcohol concentration (BAC) above 0.08% for people 21 years of age and above. In Utah, the BAC limit is 0.05%. Almost all states also impose additional penalties if the BAC is significantly above the .08% limit. All states currently have laws requiring an ignition interlock system on the cars of people convicted of certain DUI offenses. In some locations, these devices are even installed on the vehicles of first-time offenders. In some states, insurance companies can also punish drunk drivers who are injured in an accident they caused by denying payment for the driver’s injuries. Insurance companies also routinely raise the auto insurance rates of people convicted of DUI or refuse to insure them in the future. Held annually during the last week of January, NDAFW brings teens and scientific experts together to discuss the scientific facts about drugs, as well as their potential health effects on teen bodies and brains. Events are held around the country, with registrants getting free, science-based materials designed for young people. Visit the National Institute on Drug Abuse's website for sharable social media resources or for more information.